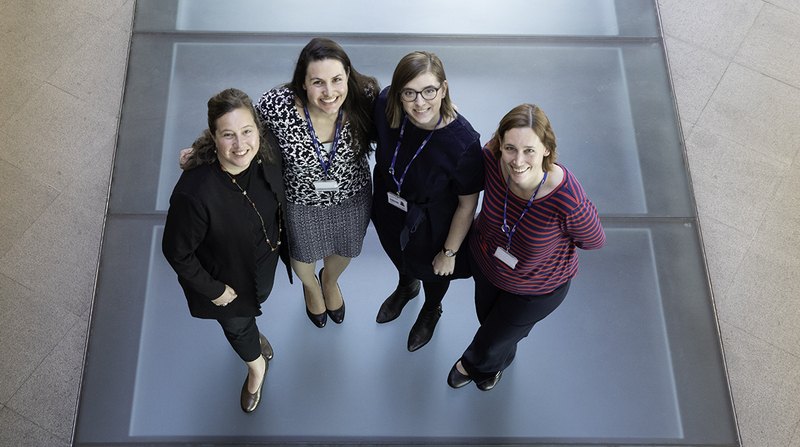 Applications are invited from exceptional medical graduates who demonstrate a commitment to a research career and aspire to become the next generation of clinical academic leaders to join our prestigious PhD Fellowship Programmes. Successful candidates will be selected on the basis of academic potential to reach the highest standards of scientific research, regardless of clinical specialty. The Fellowships will be full-time and fixed term for three years. The funding covers clinical salary, PhD registration fees at the UK/EU rate, College fees, associated project costs and general training costs. From October to December 2018, the Faculty of Medicine will be running information and Q&A sessions for staff to accompany the launch of the Faculty’s new Codes of Practice for information governance and for handling health and social care research data. These new codes of practice will provide practical guidance, processes and advice on how to comply with current key data legislation (GDPR) and to implement the College’s associated policies within the Faculty of Medicine setting. It is international Open Access Week during 22-28 October and to mark this occasion the Open Access team have a number of news items for the Faculty. During the 2017-18 academic year the Open Access team in the Library ensured 9,604 journal articles, 869 conference papers and 900 theses were deposited in our repository Spiral, as open access. The Open Science Monitor (OSM) of the European Commission has released some analysis on the percentage of open access publications (gold and green) by Fields of Study. This data was gathered through the analysis of Scopus data. 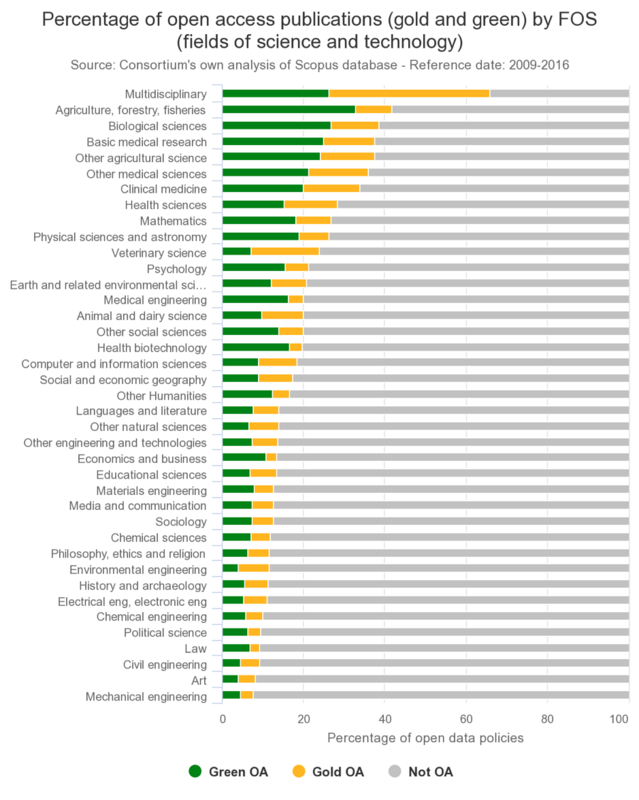 Some STM lead in open access (Agriculture, Biology, Medicine, Health) while other SSH/STM are the last (Art, Law, Religion, History, but also some engineering and Chemistry) and the percentage of gold/green varies across subjects due to researchers’ publishing habits. 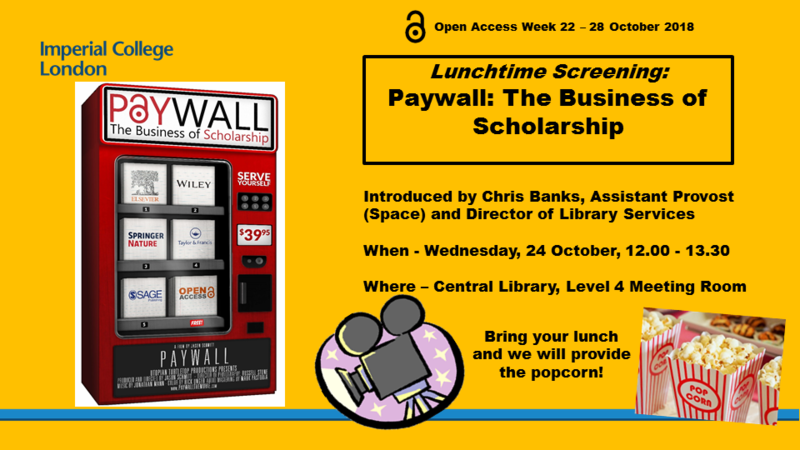 Interested in open access publishing? The OA Team of the Library has created an Open Access publications group on Yammer (part of Office 365) which is open to all and allows you to keep up to date and discuss open access with the team or other colleagues in College. Keep up to date on OA downloads via the Open Access and Digital Scholarship Blog.